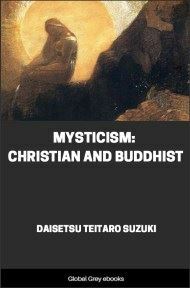 This is a short book about the Pure Land Sect of Buddhism, specifically the Japanese Jodo Shinshui sect. It includes an historical account of the group, starting with the founder, Shinran Shonin, a 10th century CE Japanese monk. There are descriptions of the sacred texts of the group, as well as their theology, a doctrine of salvation through devotion to Amida, 'the leader of all the Buddhas' (Amitabha in Sanskrit). Pure Land is a very popular school of Buddhism, both in Japan and throughout East Asia. During the past thirty centuries that have elapsed since the death of Shākyamuni, his Good Law has grown into a huge tree with many outstretching branches; and each of these is now everywhere endeavoring to propound the Law according to its own way of interpretation, and also to perpetuate its own religious practice. Among these branches, the one that most clearly indicates the Blessed One's way of salvation and that most thoroughly teaches his life of faith is the True Sect of Pure Land; for surely it is the doctrine of this Sect that the ultimate signification of the Buddha's will to save is faithfully preserved. While it goes without saying that this True Sect of Pure Land is the doctrine preached by the World-honored Shākyamuni Buddha himself, it was not until some seven hundred years ago, that is, until the founder of the True Sect, Shinran Shōnin, stayed in the Province of Hidachi to promulgate a new Buddhist teaching, that this Sect came to be recognised as such, forming an independent organisation among the Buddhists. Shinran Shōnin was born on April 1 in the third year of Jōan, 1173 A.D., in the village of Hino near Kyōto. His family was of the Fujiwara clan that occupied at the time the most important position in the empire, and his noble father, Arinori Hino, held an honorable office at the imperial court. The Shōnin was the eldest son, and from this fact we can easily see what an auspicious prospect he had before him; for could not he, as heir to a noble family, occupy a high official rank, wield his influence as he willed, and indulge in the enjoyment of a worldly life? But the death of his parents, while he was yet a child, made him depend upon his uncle, Lord Noritsuna; and this unfortunate circumstance left a very deep impression on his young mind, which, naturally sensitive, now brooded over the uncertainty of human life. At the age of nine, he left home to lead a monkish life at a Buddhist monastery called Shōren-in at Awada-Guchi, where Jiyen Sōjō, the high priest, took him as disciple, shaved his head, and gave him the Buddhist name, Han-yen. After this, the Shōnin went to the Mount Hiye, and staying at the Daijō-in which was in the Mudō-ji, pursued his study under various masters in the deep philosophy of the Tendai Sect, and disciplined himself according to its religious practices. He also sought to enlarge his knowledge by delving into the doctrines of all the other Buddhist sects; but he was unable to reach the true way leading to a release from this world of pain. 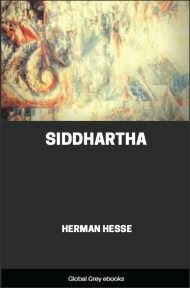 He went even so far as to invoke the aid of the gods as well as the Buddhas to make him realise an immovable state of tranquillity; but all to no purpose. While thus vainly seeking his way of release, many years passed on; and he came to be looked up and paid high respect by all his teachers and friends as one whose deep learning and unimpeachable morality were incomparable. His priestly rank advanced, and when he was twenty-five years old, he was made Monzeki (chief priest) of the Shōkō-in. All these successes, however, were far from satisfying his noble spirit, which was ever hankering after the truth. His spiritual vexations increased the more. When will the light come to this poor yet earnest truth-seeker? His twenty-ninth year which he attained in the first year of Kennin (1201 A.D.), still found him in a state of mental uncertainty. Determined to arrive at the settlement of all his doubts, he went daily to the Rokkaku-dō, Kyōto, for one hundred days beginning with Jan. 10 of that year, and offered his final prayers to Avalokitēçvara Bōdhisattva (Kwannon Bosatsu) to suffer him to see the light. At last, he had a vision of the Bosatsu, and through his instruction he went to Yoshimidzu in order to be taught by Hōnen Shōnin. Now, according to his doctrine, all sentient beings were sure to be saved and embraced in the light of Amida and to be born in the Land of Happiness, eternal and imperishable, if they, however sinful, only believe in the name of the Buddha, and, forsaking all their petty cares of the world at present and to come, abandon themselves to his saving hands so mercifully extended towards all beings, and recite his name with singleness of heart. It was through listening to this doctrine that our Shōnin came to remove from his mind every shadow of his spiritual doubt. Then, for the first time, he came to perceive that Amida was the name of his true Father, and could not help realising that, during these twenty-nine years of his existence, his life had ever been actuated by this Father's will to save, and that this true Father, from the very beginning of all things, had been unintermittently at work to save his sinful children through his eternal mercy. The Shōnin was filled with joy and gratitude unspeakable. To commemorate this occasion of his spiritual regeneration, he was given by his master a new Buddhist name, Shakkū. Abandoning his former adherence to the faith of the Tendai Sect, he now embraced the Pure Land Sect; that is to say, forsaking the uncertainty of "self-salvation" (jiriki, meaning "self-power"), he became a believer in the efficacy and surety of salvation through a power other than his own (tariki, meaning "other-power"). After this, he resigned his priestly position as Monzeki, and becoming a mere Buddhist monk in black, he built an humble hut at Okazaki, where he continued to receive further instructions from Hōnen Shōnin. His faith grew ever deeper until he thoroughly understood the signification of his master's doctrine. In October, 1203 A.D., our Shōnin decided to follow the advice of Hōnen Shōnin to enter upon a conjugal life and to give the world an example concretely illustrating their faith that the householder could be saved as much as the celibate monk. He was, therefore, married to Princess Tamahi, daughter of Prince Kanezane Kujō, formerly prime minister to the Emperor. He was thirty-one years of age while the Princess eighteen. This marriage, in fact, was undertaken to settle the religious doubt then prevailing as regards the final redemption of those secular householders, who, living with their family, have not completely destroyed the root of passion.